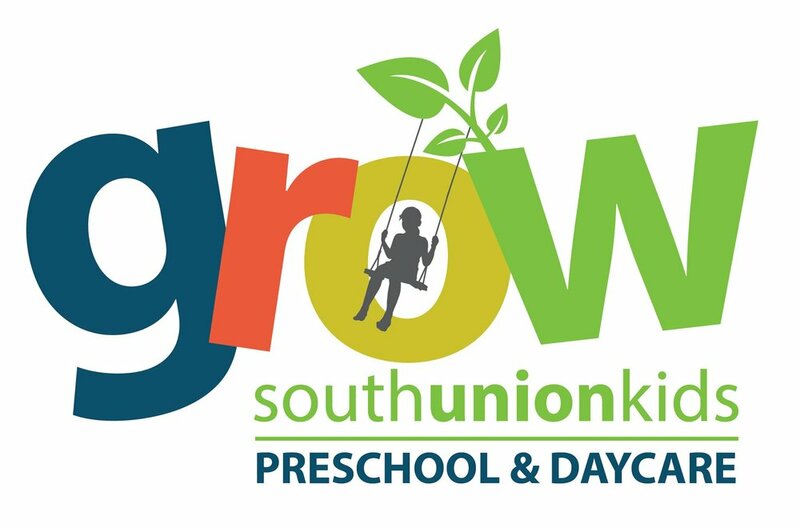 South Union Christian Church Preschool & Daycare is committed to providing quality early childhood education and child care to the community. We believe that learning should be fun and we model this by providing activities that kids enjoy while teaching them the skills they'll need to succeed. Children are a precious gift from God. While maintaining a Christian environment, our ministry will strive to meet the spiritual, social, physical, academic, and emotional needs of all our students. 1. To introduce children to the love of Jesus. 2. To provide a positive Christian atmosphere where faith, moral development, and a positive self-image are encouraged. 3. To provide a safe environment for exploring and discovering. 4. To provide age appropriate classes and curriculum for the development of expressive skills. 5. To incorporate activities that help to develop fine and gross motor skills. 6. To provide an environment that stimulates creativity and allows for the practicing of social skills. 7. To offer diverse activities that enrich learning experiences, foster independence, and create an understanding of others. Our teachers use a variety of resources including the internet, resource books, ideas from conferences and trainings, as well as their own creativity for planning developmentally appropriate activities to offer to the children. An important part of our curriculum is Bible. The children will have a weekly Bible story and lesson. Lead teachers are responsible for the collaboration of resources to prepare curriculum that meets our VCP (Voluntary Certification Program) Regulations, is developmentally appropriate, meets the standards of the program and Director, as well as fosters the highest amount of learning. Every teacher and staff member is introduced to the Indiana Department of Education's" Introduction to the New Indiana Early Learning Foundations” through a mandatory online webinar. Our program has established goals that we strive to reach for each child. Those include: fostering a positive self-image, developing social skills, encouraging children to think, reason, question, and experiment (which promotes learning in math, science and social studies), enhancing physical development, and respecting cultural diversity. Our ministry abides by the guidelines set forth by the State of Indiana Registered Ministry Standards and CCDF acceptance guidelines. In an effort to excel above these requirements, we also participate in the Voluntary Certification Program, which allows Registered Ministries the opportunity to improve its program equal to that of a licensed daycare. However, we view these only as minimum limits of the education and experience required for staff. Therefore, we strive to exceed these limits and hire persons who are most qualified at the time of hiring, while aiding our staff to improve as they grow their careers. Paths to QUALITY is Indiana’s childcare quality rating and improvement system. Our Daycare/Preschool is a Level 1, which means we are in compliance with Indiana’s basic childcare health and safety requirements.